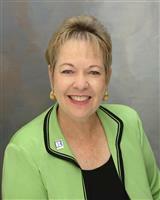 Judith E. Kalbrener "Judy" is an experienced Realtor who will devote her personal attention to your Real Estate needs. So strong is her belief that each transaction deserves her personal attention, she purposely limits her client base, yet her production totals set standards for other agents to follow, a testimony to her exhaustive and innovative marketing program. An excellent mediator, Judith is adept at negotiating complex real estate transactions. Her consistent record of achievement assures her clients that she has the necessary credentials and expertise to accomplish their goals. Judy will help you buy or sell a single family residence, condominium, or townhouse anywhere on the Island of Oahu including Honolulu, Waikiki, Hawaii Kai, Ewa Beach, Kapolei, Mililani, Kailua and Kaneohe. Whether you are selling your home, looking for a home to buy, need help with relocation or a referral to find a home in another area, Judy has the resources to provide you with community information and the excellent service you deserve.